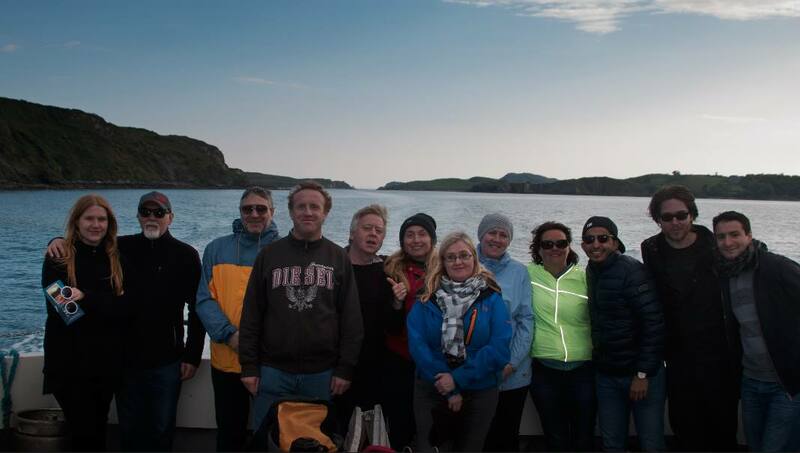 We hired a private charter last Sunday to go whale watching with Cork Whale Watch. 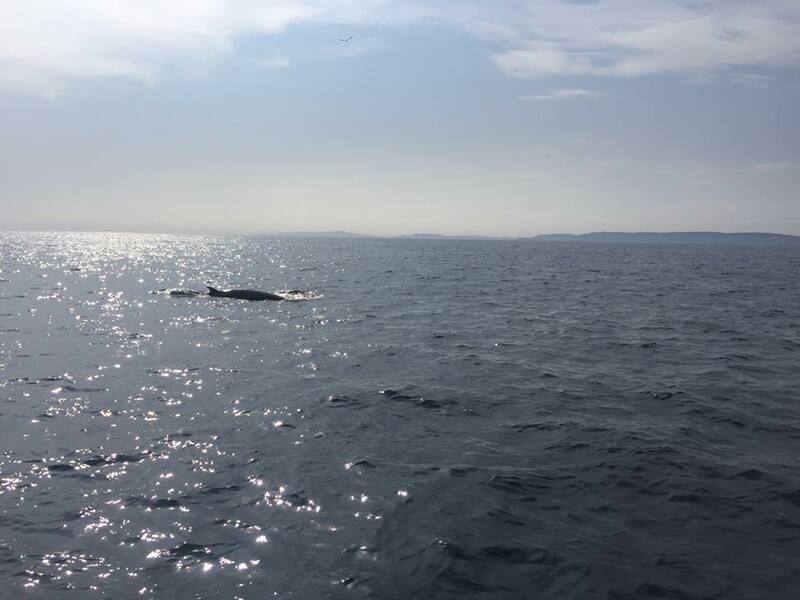 We lucked out with incredible weather, warm sun, calm seas and excellent visibility. 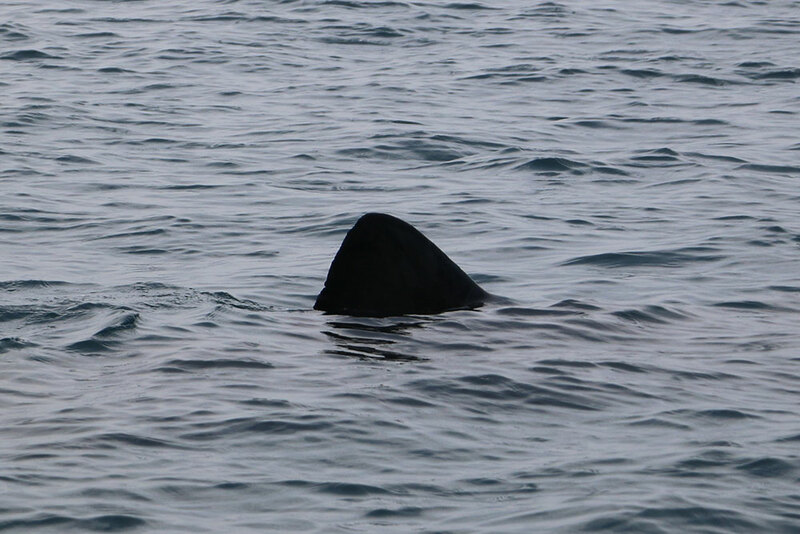 Within minutes of leaving shore, a huge dark fin was evident in the water, a basking shark, and the first one most of us have ever seen. These gentle giants can reach up to 40 feet but feed on krill and small fish. They sift the soupy water to extract their food and drink a swimming pools worth of water in a day! Over the next half hour we saw 7 more of these magnificent fish, hard to imagine that they really are. One cruised past the boat and its body kept on going and going, it was larger than our trusty steed. They disappear like submarines, gently lowering themselves down out of sight. Sometimes we could see the gaping chasm of their huge white mouth as they skimmed their dinners with grace. 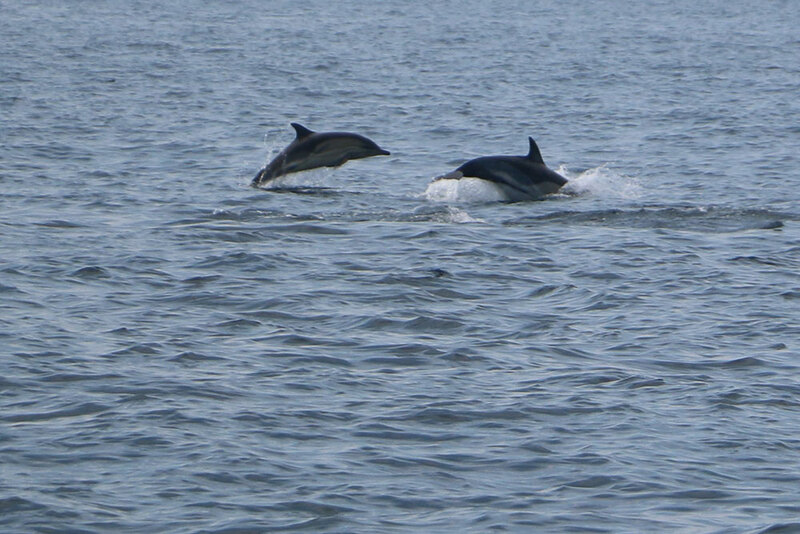 As we headed to more open water an energetic pod of common dolphins sped towards us. 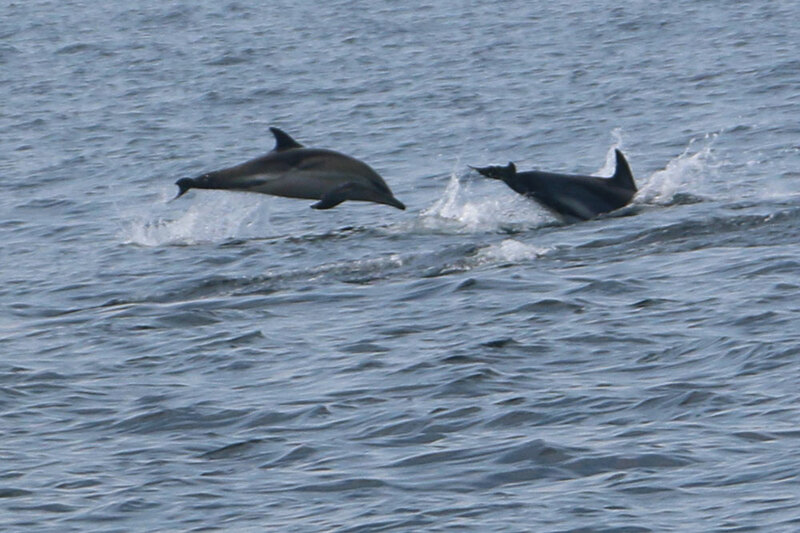 They leaped around the bow and jostled for space at the front to surf the waves our boat provided. 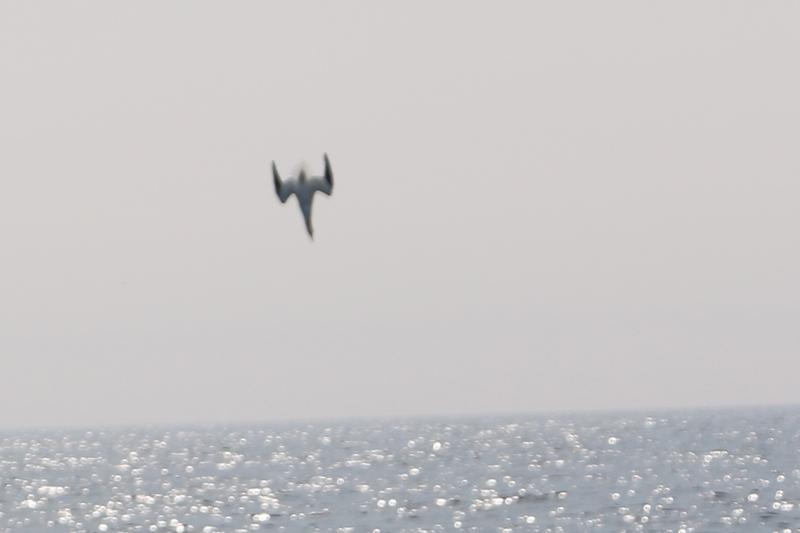 All the while gannets dove around us at breakneck speed, hitting the water with the accuracy of a master archer. Then the minke whales arrived. These are the 2nd smallest baleen whale in the world. They feed on much the same food as their cartilaginous compadre, the basking shark. They are solo travellers generally and are more interested in food than us. We watched them bolt through the water after their quarry and after a time we were definitely surrounded. Over the course of the charter we saw at least 20 minkes (we even experienced minke breath which has a pretty gnarly stench). 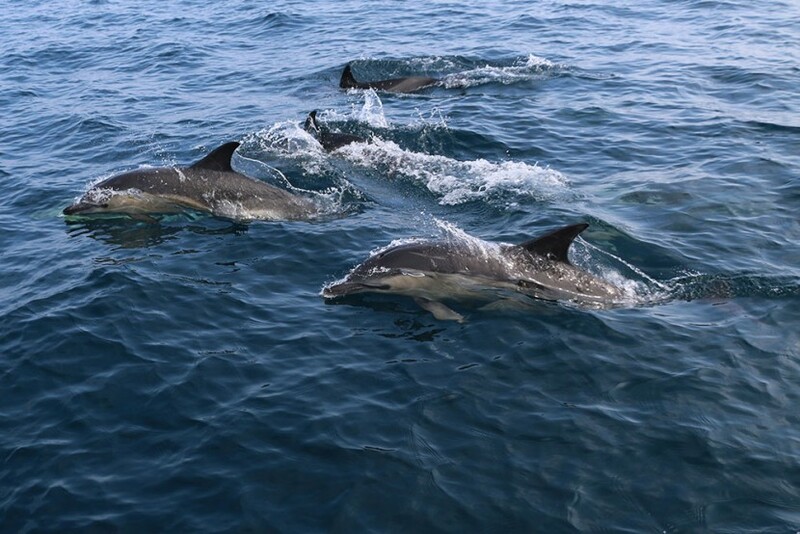 More common dolphins came back to bow ride and all round as far as the eye could see, were hundreds more dolphins, many more whales and birds skimming the ocean. Just glorious.